stylos: When is a church a cult? In the review article I did on the Go Stand Speak video and the street preaching movement in the last RBT, I made reference to one of the featured speakers in the video and controversy over The Church at Wells, Texas. Texas Monthly magazine did an extended feature article in its February 2014 issue on this church, asking “When is a church a cult?” A message board has also been set up with various locals, family members, and others weighing in (sometimes unhelpfully) on the situation. It is a fascinating religio-sociological study. The members of the Church of Wells are generally well educated young adults (the core leaders met at Baylor University) who come from middle class to upper middle class backgrounds, and who mostly grew up in mainstream evangelical churches. This reminded me of Rodney Stark’s study of early Christianity in The Rise of Early Christianity and his observation that most new religious movements do not begin among the poor and under-educated but among the more privileged and well-educated. The leaders became heavily involved in the street preaching movement and their theology has been influenced by soteriological Calvinism and their reading of Spurgeon and the Puritans, as well as revivalistic preachers like Leonard Ravenhill and Rolphe Barnard. Where the group appears to have run into trouble is with its communal living and communal ownership of businesses, intense conflict with family and friends of members, isolation, and confrontations with local residents in the community. · It seems to stress the requirement of some kind of heightened spiritual experience to prove that one has been converted (salvation is not something given until diligently sought). R. Scott Clark would call this QIRE (the quest for an illegitimate religious experience). I have heard Paul Washer, who has had a significant influence on these young folk and others like them, for example, stress this sort of thing. · Related to its views on regeneration, it seems the church does not hold to the classical Reformed understanding of the perseverance of the saints. Part of this comes as a reaction against easy-believism evangelism, false assurance, and “carnal Christianity,” typical of the mainstream evangelicalism in which they were raised and now vehemently attacked by the street preacher movement (e.g., the sermons of Paul Washer) by which they have been influenced. · Also related to the above, the church seems to stress a distinct view of sanctification that may tend toward perfectionism. It has, at the least, led toward a self-righteous and judgmental demeanor. · The church’s worship meetings are apparently closed to members (and their children) only. How does this fit with 1 Corinthians 14:23-25 where the “unlearned” and “unbelievers” were included in the church’s meetings? · The rightful stress on obedience to Christ over obedience to all other human relationships, including that of families, must be weighed against the equally strong scriptural stream that stresses honor for parents and care for family members (cf. Matt 10:34-39; Exod 20:12; 1 Tim 5:8). This weighing appears largely to be lacking. · The “elders” are three very young (though obviously very earnest and intelligent) men, all under age 30. One wag labeled it “the church of the hot boys.” It seems like things have spun out of control in their efforts to create an ideal Christian community. · It seems that all opposition has been interpreted as persecution. I also find this to be typical of the street preaching mentality. I recently read one “in your face” street preaching advocate refer to it as “riot evangelism.” Whatever happened, however, to Paul’s admonition to believers to aspire to live quiet and uncontroversial lives (1 Thess 4:11)? I know these are sensitive issues, and I am not crazy about discussing a local church’s internal life, but the issues surrounding this church have now become public. The charge of being a cult is, granted, hard to nail down and, if inaccurate, harmful and wrong. I once had a man accuse my Reformed views on church eldership, the preservation of Scripture, and the abiding validity of the fourth commandment as being “cultic.” Like most pastors, in the course of my ministry, I have sometimes been accused of being overbearing and controlling when I have had to confront or address difficult issues. I am sure many would see any conservative church as being a cult. Where, however, is the line between being a faithful and disciplined church and being a “cult”? There are some things that conservative, Reformed churches can learn from Wells. One, I think, is the value of holding a historic, Reformed confession, as a safeguard against novel beliefs and practices. Another is the danger of “revivalistic” and experience-driven religion, as opposed to simple reliance on the ordinary means of grace. A third is the importance of ecclesiological accountability. How might much of this have been addressed if this church were connected to others that might have privately called a council to examine and confront errors and ill behavior on many sides? "For I bear them witness that they have a zeal for God, but not according to knowledge" (Paul, Romans 10:2). Sounds like a case of preventive maintenance going haywire. Jesus said that there would be goats among the sheep and wolves in sheep's clothing, and they will seek to infiltrate the brethren. In many local fellowships they have. But I think that is only because local churches aren't exercising Biblical Church discipline. I have agreed much with Paul Washer concerning his views on easy-believism, but I am afraid that he is over-compensating for this defect and creating a new one. This testimony is evidence of that. Anything on the blog may be reposted as long as the source is cited. "Members prayed for a newborn child who died to be “resurrected” (this is the term I’ve seen in the discussion; by this I’m sure they mean “resuscitated”) rather than seeking immediate medical help." Actually, these young men were expecting to "resurrect" (not resuscitate) this baby. In their own words. They did not, in fact, make any resuscitation attempt at all, sadly. "...if God so desired, he could hear our prayers and raise her from the dead..."
When the 15-hour resurrection ceremony did not raise the child from the dead, they were disappointed. “As to the charge that we sinned as elders or as a church, when that child died, we believed that it was God’s will to raise her. We don’t think that was a presumptuous thing. The Church of Wells never claimed to be healing a sick baby. They never said that; not once. They have been open about their belief they could make a miracle and return Faith Pursley from the dead. In fact, they waffle a bit about whether they knew the baby was sick in the first place. They sort of say they didn't know. Even now, the media continues to incorrectly characterize the baby's death as a well-placed faith-healing of a sick baby. Almost as if they're afraid to call it what it really is. Let's be clear. They were raising this baby from the dead. Period. My point was not to say that this was an attempt at healing or to say that the child was not dead. My point was to distinguish between "resuscitation" (raising someone who has died back to life who will eventually die again) and "resurrection" (raising someone who has died to life, which includes the transformation of that person's body to a resurrection body that will never die again). In the Bible, for example, Lazarus was resuscitated, while Jesus experienced resurrection. My point was that they were probably hoping for a "Lazarus" type experience. By the word "resuscitation" I did not mean to imply that they had tried any conventional attempts at life-saving via CPR, etc. At any rate my views on this all come from reading second hand media reports. Thanks for the clarification. I'm unfamiliar with that distinction. The link is to their own "sermon" that addresses the issue directly. Jeff, Came across your blog. You're the first RB that I've found to comment on this group. We lost a young man to the Wells cult just a few months ago. In addition to the divergent beliefs you have cited, they also have publicly said that they believe they are the only real Christians in America. Thanks for the insight. I learned of the Wells group while preparing to write a review of the "Go Stand Speak" video in which Sean Morris is prominently featured. Hope the person from your church who's gotten involved will have discernment and you and others can be an influence if you still have contact. I am interested to see evidence of P. Washer "stressing the requirement of some kind of heightened spiritual experience to prove that one has been converted” or “not holding to the classical Reformed understanding of the perseverance of the saints”. I have read several of the testimonies of the Wells members who cite the influence of Paul Washer on them. Paul Washer is also prominently featured in the "Go Stand Speak" video I reviewed in which Sean Morris also appears. 1. Regarding a "heightened spiritual experience" as a sign of conversion, I have heard PW offer several anecdotes in sermons where he describes someone who comes under conviction under his preaching whom he counsels to seek God in prayer for conversion. The anecdotes typically end with the person announcing a breakthrough in which he experiences conversion. I am suggesting that these anecdotes (and others like them from revivalistic preachers) have likely influenced the Wells folk in their theology of conversion. I stand by this observation. 2. Regarding perseverance, I think you misread my point. I stated that the *Wells folk* did not hold to a classic Reformed view of perseverance *not PW. * I only suggested that their views on this were influenced by the backlash against easy-believism evangelism among preachers like PW. Having read some of the Wells material it seems they have been influenced by Wesleyan views on perfectionism. My article is focused on the Wells movement and not on PW, except to mention some of his influence upon them. I am not suggesting that PW shares in the views of the Wells group. In fact, as I understand it, PW and others from HeartCry have recently made statements distancing themselves from the Wells group. You foolish Galatians! Who has bewitched φαρμακεία you? I found it interesting when I saw the word pharmakeia. I think that is so right how I felt not in my right mind when the Word of God is mishandled by false teachers. It becomes tainted to the hearers because these men use it to their own advantage and for their own gain. 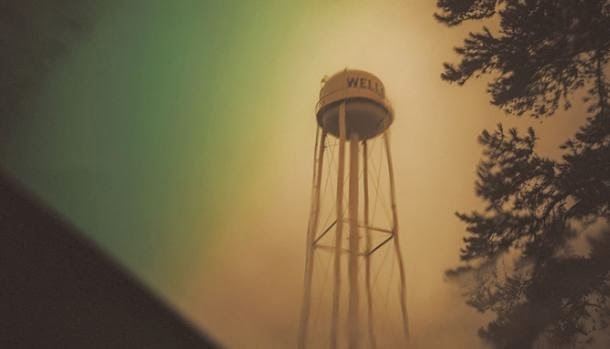 I have read the case in Wells,TX and it is concerning. It becomes a cult when a person has undue influence added and allegiance is not to the Chief Shepard but to the under-shepard. I recently left a place were it had a form of godliness but denying the power thereof and techniques were used in that place that I don't even want to tell others about because they would possibly think that my brain has gone on vacation permanently. I am sorry sir, but you are wrong about whether it is hard to nail down if this church is a cult or not. There are very specific characteristics for cult status. I spent 15 years in a religious cult, my husband and I left 12 years ago with our three kids. We went through pretty much what these people went through. Any time you have isolation of young people from their families, the control of what they wear, where they live, what they do and what they say, you have a cult. Even reading this newspaper article brought back some bad memories. I am concerned that your article seems more concerned about the church's theology than about how their members are acting. This is classic cult behaviour. One minute they are normal, interacting with their families and thinking they are saved, next minute they are totally convinced everything they thought or believed before is completely wrong. It's the absolute right/wrong faith system and the control over the member's lives which scream spiritual abuse. Your comment about these things often starting amongst the young middle class is right on. We just finished talking to a very young couple who are now 'senior pastors' of a Baptist church in New Zealand. They have just come out of Bible school and a year of 'living in community' whatever that means. Their preaching is heavily centered on Emerging Church theology, the eco/social gospel of focusing on the needs of the poor and disadvantaged to the exclusion of the needs of their own congregation. You can't talk to this couple, they are totally enamoured with the Red Letter Christians and if you question them you are immediately silenced. Their 'elders' are completely overawed with them, which is ridiculous, they are in their mid to late twenties with no experience running a church. One of the couple came from a cultic background and their family also experienced abuse. You would think that they would understand this kind of behaviour. What we have seen is that people who don't deal with the errors in theology which the cult indoctrinated them with are more than likely to end up following other aberrant teaching and practice of so called Christianity and probably end up in another cult. You have to deal with this kind of thing, hit it head on and take it for what it is.